Tags: Isaac Hagerling, Jason Duval, Ken Lind, mixed max, Seniors championship, WSOP 2013. Posted on Tuesday, June 18, 2013 by "T". Not less than 4,407 players (a new record for this event) signed up for Event #26: $1,000 Seniors No-Limit Hold'em Championship and created a $3,966,300 prize pool. Poker legends such as Johnny Chan, Tom McEvoy and T.J. Cloutier were among the participants, but, unfortunately, none of them were among the 34 players who returned for the final day (Day 3). Ken Lind entered Day 3 second in chips and remained in that position until the final table. Once he had taken control over the final table - he never looked back. In total, he eliminated 6 of 8 opponents to take down the tournament, the $634,809 first-place prize, a gold bracelet and the recipient of the Golden Eagle trophy. A well-deserved win! Isaac Hagerling only had 3 cashes for a total of $14,393 prior to this event. After besting a field of 593 runners he can now add $372,387 to that total! Hagerling raised to 65k, Steinberg three-bet to 175,000. Hagerling called. The flop fell 7 3 K and Steinberg bet 215,000. Hagerling called. The turn card was the 5 and Steinberg checked. Hagerling bet 525k and Steinberg made it 2.198 million. Hagerling went into the tank for 2 minutes before calling. Steinberg was only one card away from winning his second bracelet when the dealer revealed the last card: the 10 . A very lucky river for Hagerling who picked up the pot with 2 pairs (kings and 10s) and now had 97 percent of the chips in play. Steinberg hanged on with his short stack for another 30 hands or so, but the poker gods clearly had sided with Hagerling who laid hands on his first gold bracelet and nearly $400,000. Steinberg received $231k as a consolation, but 'the unlucky hand' will most probably haunt him for the rest of his life! This tournament saw 2,115 players battle for a $2,855,250 prize pool of which the biggest chunk, of course, went to the winner Jason Duval - who defeated Majid Yahyaei after about two hours of heads-up play. 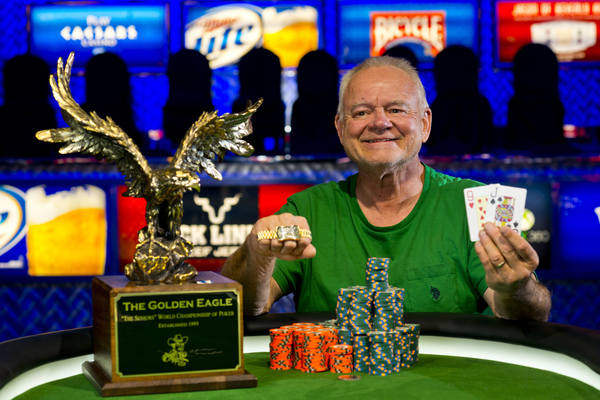 Duval, from Canada, claimed the World Series of Poker gold bracelet and more than half a million dollars! It was his second career six-figure cash after placing third in a WPT event for just about $200,000 this spring. WSOP 2013: November 9 is set! Sandeep Pulusani Wins Event #44 After Impressive Comeback! 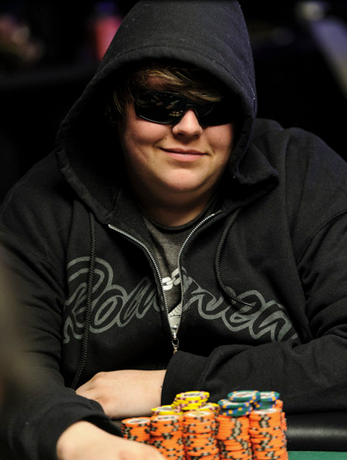 WSOP 2013: Erick Lindgren Wins Event #32: No-Limit Hold'em! 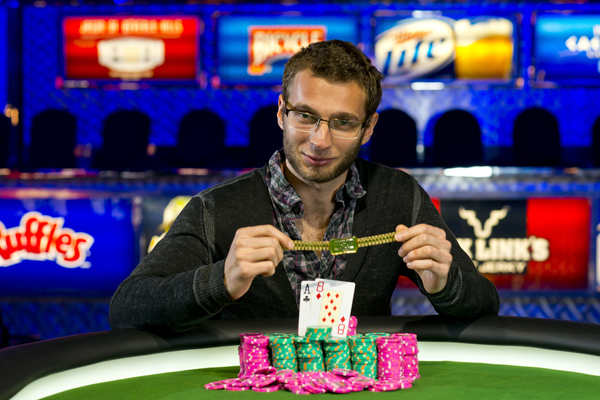 1 comment for "WSOP 2013: Another Three Bracelets Have Been Awarded! " Another three happy poker players who probably weren't able to keep the poker face after getting alone at the tables! It must be a hell of a great feeling to stand alone in the end of a WSOP event.